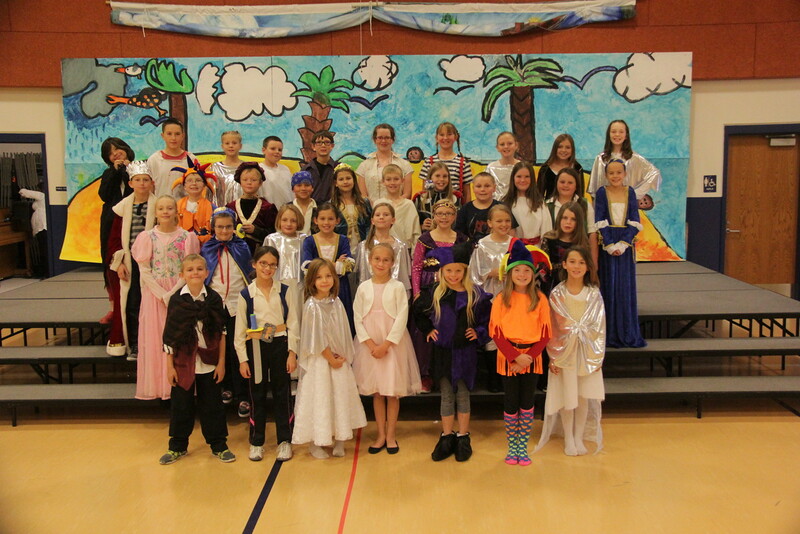 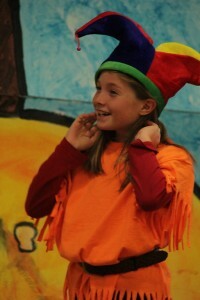 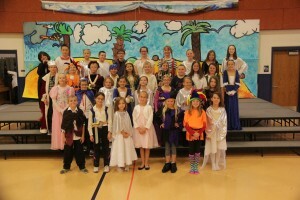 “O brave new world, that has such people in’t!” Three Peaks’ 4th and 5th grade after-school drama students performed Shakespeare’s “The Tempest” this month. 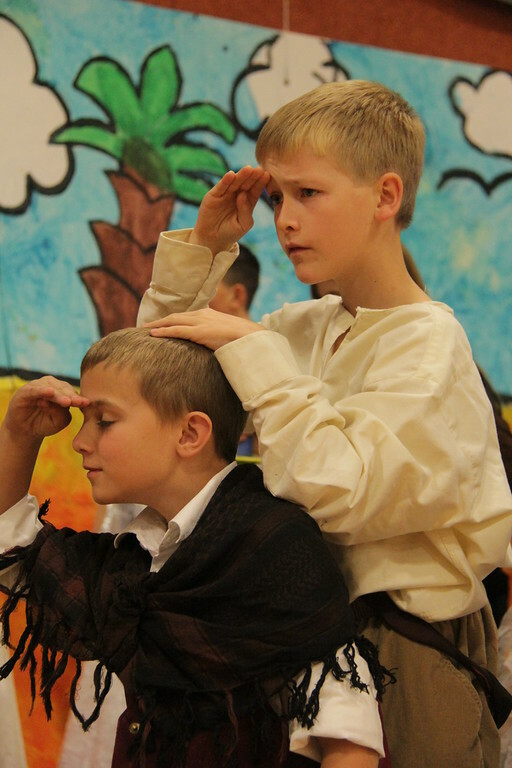 Students designed and painted the set, created many of the props, memorized authentic Shakespearean text, and performed with energy and excitement for the school and parents. 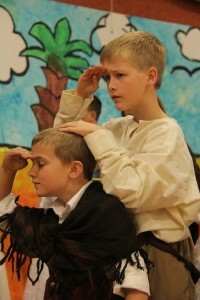 The students have enjoyed getting to know the Bard as they’ve explored this mystical play. 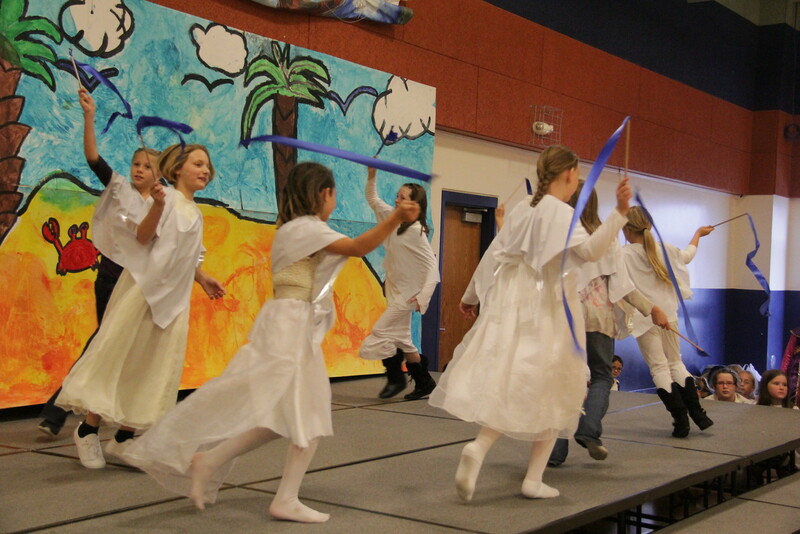 Many cast members are coming back for more as we audition for Disney’s “The Lion King KIDS.” Break a leg, Three Peaks drama students!